Eligibility: This Campaign is open only to those who sign up at the campaign link http://bit.ly/2tvCaA8 and who are eighteen (18) years or older as of the date of entry, and who are the legal parent or guardian of a minor, age 6-16, whom will be the recipient of the prize if selected as the Winner. The Campaign is only open to legal residents of the United States, are current residents of Orange County, CA, and is void where prohibited by law. Employees of Wahoo’s Fish Taco, OCEvents, OC Marketing Brands, Inc., or Newport Surf Camp, or their affiliates, subsidiaries, advertising and promotion agencies, and suppliers, (collectively the “Employees”), and immediate family members and/or those living in the same household of Employees are not eligible to participate in the Campaign. The Campaign is subject to all applicable federal, state, and local laws and regulations. Void where prohibited. Campaign Period: Entries will be accepted online starting on June 21, 2017 and ending June 27, 2017 at 11:59 pm Pacific Time. All online entries must be received by June 27, 2017 at 11:59 pm Pacific Time. How to Enter: The Campaign must be entered by submitting an entry using following link http://bit.ly/2tvCaA8. The entry must fulfill all Campaign requirements, as specified, to be eligible to win a prize. Entries that are incomplete or do not adhere to the rules or specifications may be disqualified at the sole discretion of OCEvents and OC Marketing Brands, Inc.. You may enter only once. You must provide the information requested. You may not enter more times than indicated by using multiple email addresses, identities, or devices in an attempt to circumvent the rules. If you use fraudulent methods or otherwise attempt to circumvent the rules, your submission may be removed from eligibility at the sole discretion of OCEvents and OC Marketing Brands, Inc..
Prizes: The Winner(s) of the Campaign (the “Winner”) will receive:One (1) week attending Newport Surf Camp for the Winner and one (1) guest of their choice, both of which need to be age 6-16.No cash or other prize substitution shall be permitted except at OCEvents and OC Marketing Brands, Inc.’s discretion. The prize is nontransferable. Any and all prize-related expenses, including without limitation any and all federal, state, and/or local taxes, shall be the sole responsibility of Winner. No substitution of prize or transfer/assignment of prize to others or request for the cash equivalent by Winner is permitted. 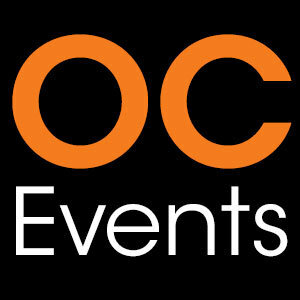 Acceptance of prize constitutes permission for OCEvents, OC Marketing Brands, Inc., Newport Surf Camp, Wahoo’s Fish Taco to use Winner’s name, likeness, and entry for purposes of advertising and trade without further compensation, unless prohibited by law. Limitation of Liability: By entering, on behalf of yourself or minor(s), You agree to release and hold harmless OCEvents and OC Marketing Brands, Inc., Newport Surf Camp, and Wahoo’s Fish Taco and their subsidiaries, affiliates, advertising and promotion agencies, partners, representatives, agents, successors, assigns, employees, officers, and directors from any liability, illness, injury, death, loss, litigation, claim, or damage that may occur, directly or indirectly, whether caused by negligence or not, from: (i) such entrant’s participation in the Campaign and/or his/her acceptance, possession, use, or misuse of any prize or any portion thereof; (ii) technical failures of any kind, including but not limited to the malfunction of any computer, cable, network, hardware, or software, or other mechanical equipment; (iii) the unavailability or inaccessibility of any transmissions, telephone, or Internet service; (iv) unauthorized human intervention in any part of the entry process or the Promotion; (v) electronic or human error in the administration of the Promotion or the processing of entries. Requests must be received no later than July 31, 2017.